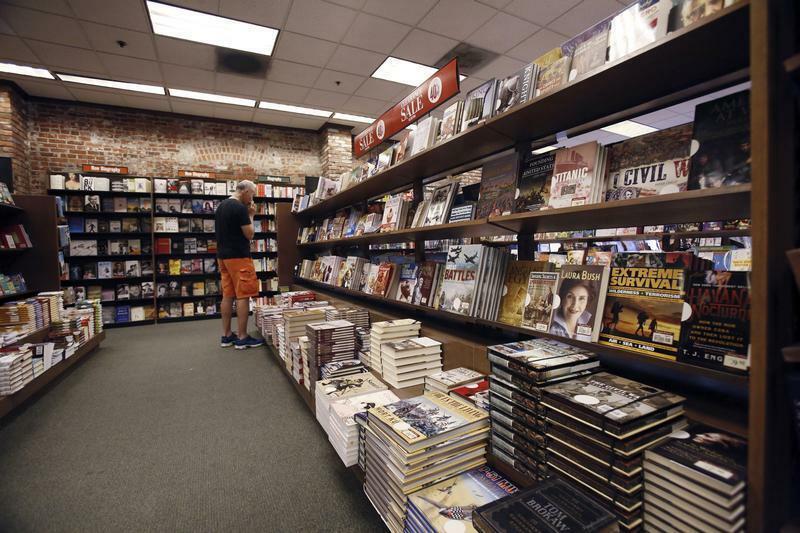 Borders is long gone, Barnes & Noble (BKS) is on the ropes, and total sales at U.S. bookstores have fallen 22% over the past five years. Is every book lover’s nightmare coming true? Is the publishing industry somehow being destroyed by a combination of Amazon (AMZN) price cutting and a wave of Netflix (NFLX) watching, iPhone gaming and tweeting? Definitely not, though you might come away with that ridiculously pessimistic view from some recent coverage trashing Amazon's role in the industry. Actually, book sales have risen strongly since 2008, not coincidentally since ebooks came on the scene. There’s more than ever to read — thus people are reading more than ever. But the true numbers are hard to nail down. Stick with me while we try to tease out the truth from imperfect market research (and I’ll be dealing only with the mainstream book market, not textbooks or religious books). First of all, an increasing portion of sales has moved online, both for print books and, obviously, for ebooks, which are only sold that way. Including both online and physical sales, U.S. publishers had revenues of $15 billion in 2012, the most recently reported annual figure from the Association of American Publishers. That’s up 14% from 2008 – not bad. Dig a little deeper and you’ll see that, within the total, ebook sales rose from $68 million to $3 billion, what’s technically known as a gazillion percent increase. Absent ebooks, total print book sales did shrink about 8%. That’s enough right there to disprove the pessimists and ebook critics. It also certainly ought to embarrass the New Yorker, which last week published its third -- and most off-base yet – profile of Amazon and its impact on the book market. Trotting out many of the same anecdotes Ken Auletta used in his 2010 New Yorker article, writer George Packer cites innumerable unnamed agents and publishers who worry Amazon doesn’t really care about books as they do. By encouraging low-priced, self-published ebooks, in the end, quality literature will be destroyed, Packer and his sources fear. Overlooked and de-emphasized in these attacks on ebooks are the many ways big publishers have worked hard to destroy literature without Amazon’s help. To wit: overpaying huge advances for worthless books written by celebrities. Dumping vast quantities of best sellers in Walmarts (WMT) and Costcos (COST), where they’re sold at half price. Favoring the megachains for decades as they squeezed out the independent stores the publishers now champion against Amazon. But like the Hollywood studios that resisted the VCR, which later saved them, publishers are being saved by the ebook. Ebooks made up 17% of sales at News Corp's (NWSA) Harper Collins unit over the holidays, up from 14% last year and nothing five years ago. Ebooks hit 33% of sales at Lagardere’s Hachette Book Group and 23% at CBS’s (CBS) Simon and Schuster. Jeff Bezos has been saying for years that Amazon Kindle owners buy more books than they did before they owned the ereader. It makes sense, given that many people read more quickly on an ereader and the device’s wireless connection lets customers buy a new ebook as soon as they’ve finished the last one. And about all those other distractions on iPhones and iPads and Galaxy Tabs – surely people would be reading far less if they couldn’t read ebooks on their devices. Even the AAP numbers seriously underestimate the contribution of ebooks, because they don’t include the fast-growing, self-published ebook phenomenon. Big publishers obviously don’t have any sales data on self-publishers and Amazon, Barnes & Noble and other sellers don’t disclose aggregate data about self-published sales, so there’s little to go on. The New York Times added special ebook sections to its famed best seller lists but ebooks published exclusively by one vendor (cough, Amazon, cough) “will be tracked at a future date.” Since Amazon is the reigning king of the self-published ebook, that makes the Times lists pretty useless for this exercise. Checking the Amazon best seller lists provides an alternate view of reality. Self-publishing star author Hugh Howey recently grabbed a snapshot of the 7,000 best sellers in Amazon’s most popular fiction genres (mystery/thriller, scifi/fantasy and romance). And his results, for that one particular day, showed 35% of the titles were self-published and another 18% were by a single author with no publisher listed. Of course, Amazon’s Kindle is the most popular ebook format and its self-publishing program is by far the largest of its kind as well, so it’s unlikely its best seller lists provide a complete picture of what’s going on in the entire market. But it’s still the single largest seller of books in the country, so it can’t be dismissed either. Even with considerably smaller self-publishing sales at Barnes & Noble and Kobo, the niche (which, yes, does feature a fair amount of low-quality "literature," as to be expected from amateur authors) is adding substantial sales to the industry's annual total. Publishers may whine and moan and convince their journalist pals to write attacks on Amazon. But for the reading public, it just keeps getting better.